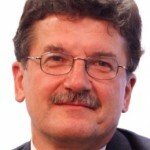 A German national, Dr Mandery joined Cefic (Conseil Européen de l’Industrie Chimique/European Chemical Industry Council) in September 2009, and was appointed Director General of Cefic in November 2009. He completed his PhD Food Chemistry/Analytical Chemistry in the University of Karlsruhe and continued his Post-doctoral studies in chromatography at the University of Pretoria, South Africa. Dr Mandery spent over 20 years with BASF, holding leading positions within the group including, Head Liquid Chromatography, Central Analytical Laboratory, Director Product Safety, Vice President International Economic Affairs, Senior Vice President Trade Policy & General Political Affairs and Managing Director Business Centre BASF South Africa and Sub-Sahara Head of BASF South Africa.